Sony and Marvel are obviously all in on Peter Parker being the Marvel Cinematic Universe’s definitive Spider-Man. But according to Marvel Studios head Kevin Feige, a certain other webhead does, in fact, exist somewhere in the MCU. In a recent interview with Screen Crush, Feige addressed how, during Spider-Man: Homecoming, Donald Glover’s character Aaron Davis casually mentions his nephew—who, in Marvel’s comics, is Miles Morales. While Miles isn’t name checked in the film directly, Feige clarified that “anything that’s happened in the books” is fair game for Marvel to bring into MCU. 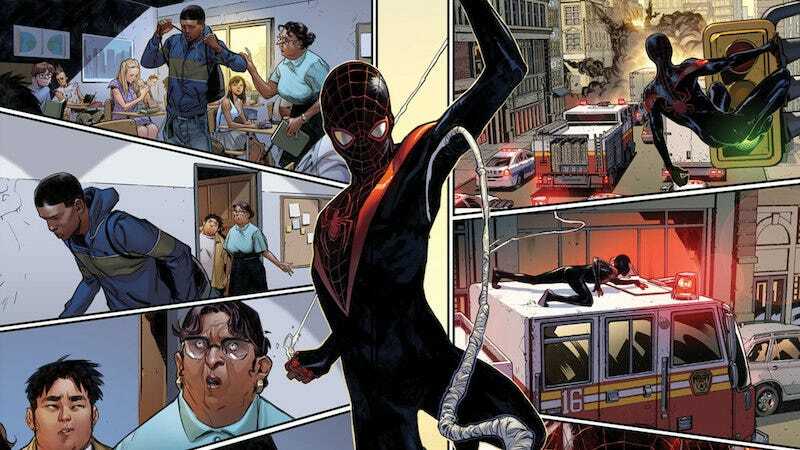 Feige didn’t say whether Phil Lord and Chris Miller’s upcoming animated movie starring Miles will be at all connected to the larger MCU, but here’s hoping that by the time we see Peter graduating on the big screen, he’s got at least one other web-slinging friend to talk shop with.